Maryland Traffic Violations Lawyer | Alan L. Billian, P.A. Traffic violations range from learner’s permit violations to speeding tickets. However, even if you don’t mind paying the fine, you might not be happy about the increase in your car insurance rates. No matter how small your traffic offense is, it’s a good idea to consult with your Maryland traffic violations lawyer to get a more favorable results. Based in Owings Mills, MD, Alan L. Billian, P.A. represents traffic violation clients from Catonsville, Ellicott City, Reisterstown, Westminster, Columbia, Annapolis, Glen Burnie, Baltimore City and throughout Baltimore, Carroll, Anne Arundel and Howard counties. Penalties for traffic violations range from a fine to points and even jail time depending on the severity of the offense. When you work with our traffic violations lawyers in Maryland, you have a chance to minimize the damage to both your finances and your driving record. And if a clean driving record is one of the conditions for your job, then you shouldn’t take any traffic tickets lightly. At Alan L. Billian, P.A., we know all the ins and outs of the Maryland traffic law and can help reduce or eliminate the potential damage done by major violations. 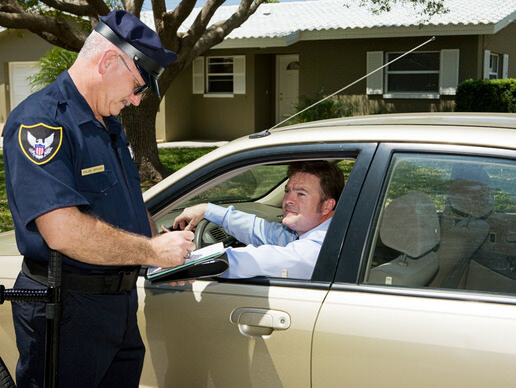 For minor violations, we have often resolved the case without any blemish on the client’s driving record. Whether you reside in Maryland or got cited when passing though our state, our Owings Mills, Maryland traffic violations attorneys are looking forward to working on your case. Contact us today for a free consultation regarding your Maryland traffic ticket or other traffic violation.